Experience the thrill of free fall from up to 15,000 ft, reaching a speed of about 120 mph! A tandem skydive requires only a few minutes of training and is the safest and most popular choice for first time skydivers. 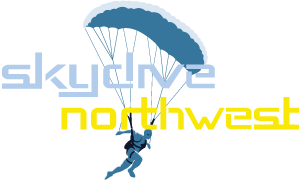 Skydive Northwest featured on BBC Secret Britain, a programme exploring the hidden corners of the UK in search of the best the countryside has to offer. Series 3, The Lakes, explored Britain’s most visited National Park which attracts 16.5 million visitors every year. 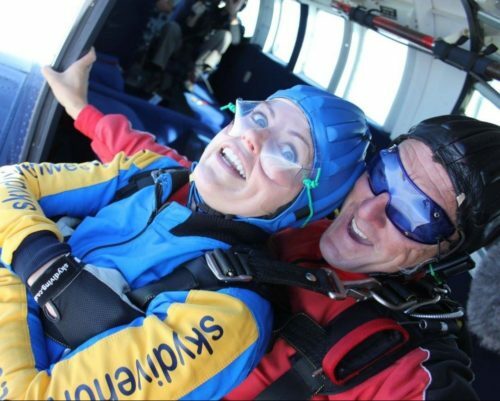 Presenter Ellie Harrison visited Skydive Northwest for a Tandem Skydive to get a completely different perspective on The Lake District. 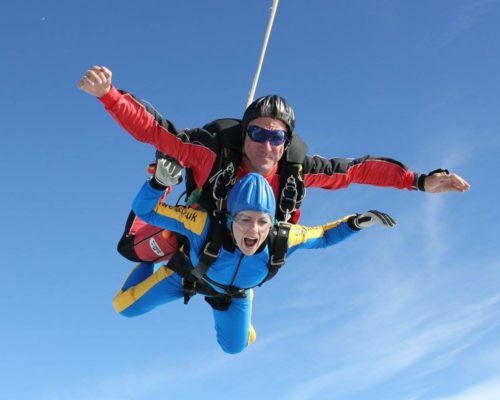 Do something spectacular and jump for charity! 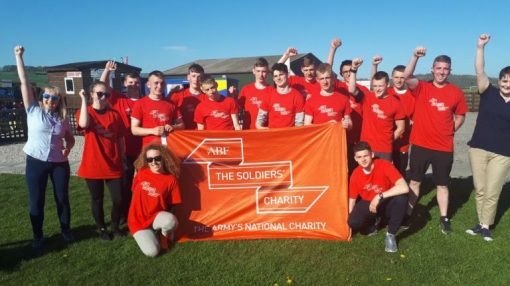 Raise funds for a worthy cause and fulfil a lifetime ambition. 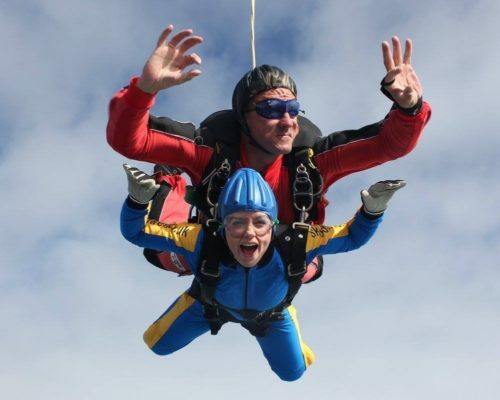 Choose from our list of worthy causes or arrange a skydive to support your own charity. Learn to fly and land your own parachute. 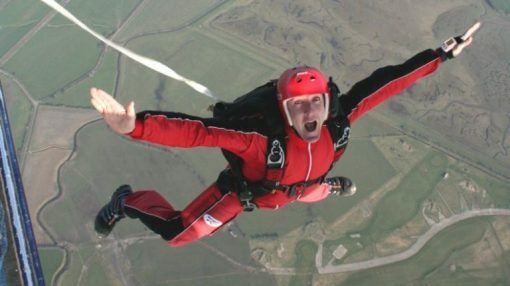 Get approximately 6 hours of extensive training on the ground and make your first parachute jump. We provide everything you need to make your first jump. Hundreds of positive reviews across the web, including on Facebook, Google and TripAdvisor. 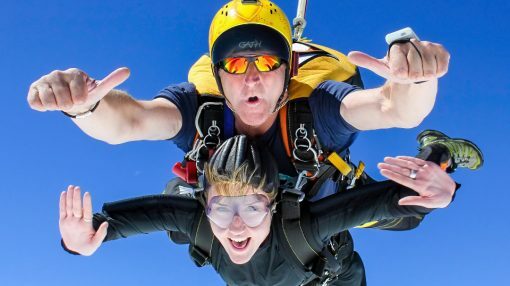 Open weekends and bank holidays for tandem skydives. Solo jump course dates are scheduled in advance. Checkout our Facebook page for Special Events. Check the weather forecast at the Met Office.